The Africanized bee known colloquially as "killer bee", is a hybrid of the Western honey bee species (Apis mellifera), produced originally by cross-breeding of the African honey bee (A. m. scutellata), with various European honey bees such as the Italian bee A. m. ligustica and the Iberian bee A. m. iberiensis. The Africanized honey bee was first introduced to Brazil in the 1950s in an effort to increase honey production, but in 1957, 26 swarms accidentally escaped quarantine. Since then, the species has spread throughout South America and arrived in North America in 1985. Hives were found in south Texas of the United States in 1990. Africanized bees are typically much more defensive than other species of bee, and react to disturbances faster than European honey bees. They can chase a person a quarter of a mile (400 m); they have killed some 1,000 humans, with victims receiving ten times more stings than from European honey bees. They have also killed horses and other animals. The venom of an Africanized bee is the same as that of a European honey bee, but since the former tends to sting in far greater numbers, the number of deaths from them are naturally greater than from European honey bees. 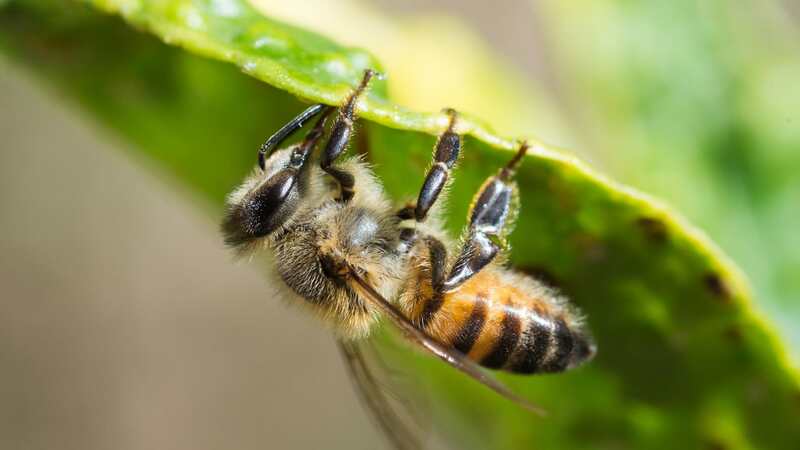 While allergies to the European honey bee may cause death, death and complications from African bee stings are usually not caused from allergies to their venom. Humans stung many times by the African honey bees can exhibit serious side effects such as inflammation of the skin, dizziness, headaches, weakness, edema, nausea, diarrhea, and vomiting. Some cases even progress to affect different body systems by causing increased heart rates, respiratory distress, and even renal failure. African bee sting cases can become very serious, but they remain relatively rare and are often limited to accidental discovery in populated areas. The first Africanized bees in the US were discovered in 1985 at an oil field in the San Joaquin Valley of California. "Bee experts theorized the colony had arrived hidden in a load of oil-drilling pipe shipped from South America. "The first permanent colonies arrived in Texas, from Mexico, in 1990. In the Tucson region of Arizona, a study of trapped swarms in 1994 found that only 15 percent had been Africanized; this number had grown to 90 percent by 1997. Though Africanized bees display certain behavioral traits that make them less than desirable for commercial beekeeping, excessive defensiveness and swarming foremost, they have now become the dominant type of honey bee for beekeeping in Central and South America due to their genetic dominance as well as ability to out-compete their European counterpart, with some beekeepers asserting that they are superior honey producers and pollinators.